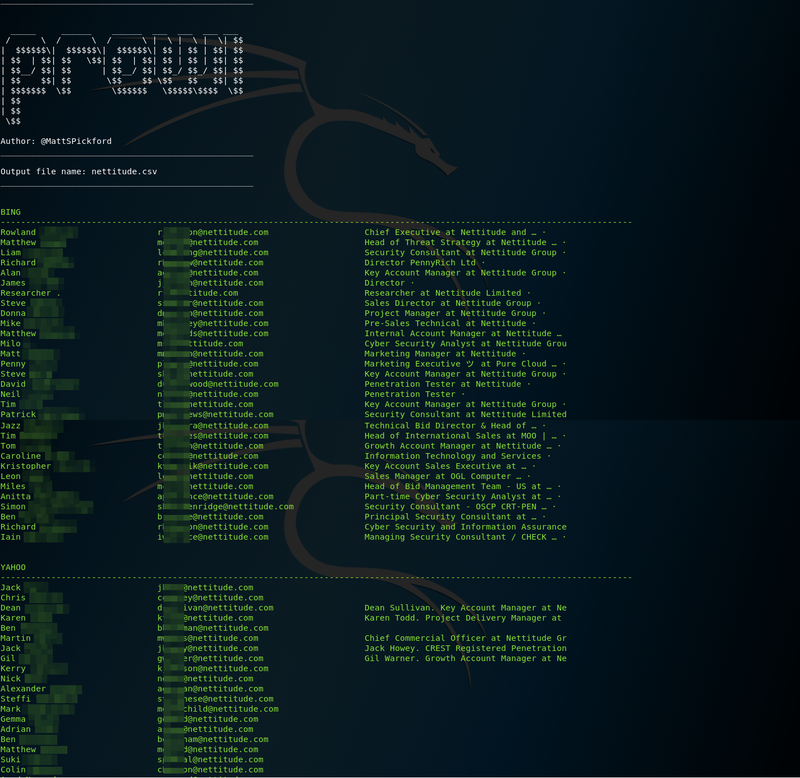 Prowl is an open source data harvesting tool written in Python to help alleviate some of the more time consuming reconnaissance tasks, such as gathering corporate email addresses. Prowl was written with penetration testing in mind, so all captured data is formatted for reuse during an engagement. The main purpose of the tool is to help when attacking an organisation inclusive of social engineering; to assist with this Prowl identifies jobs that the target organisation is currently recruiting for. Prowl has several key features for gathering data. To view all of them please visit https://github.com/nettitude/prowl.